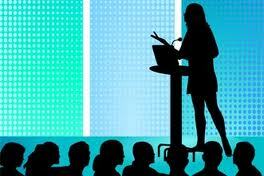 Wendy presents and speaks at conferences on various topics, to share her knowledge, experience, and to inspire others. She can add value to your conference professional development days or your organisation’s in house session. She interacts and involves her audience to engage them in the process. "I highly recommend Wendy as a trainer for both individual training and workplace training. Wendy’s approach to coaching and training is both professional and encouraging. " "Coaching has had a powerful, positive impact on my work, personal relationships and results. Wendy is an encouraging and supportive coach." "Wendy had a great way of communicating to all levels of experience. She gave us practical skills to implement changes to our leadership behaviours." "I found Wendy very professional and passionate about her work. Her workshop was interactive. She is an excellent trainer, and has a great depth of knowledge in the areas that she works in. I will definitely use the skills in my life and workplace." Wendy Jocum is an accredited, experienced coach and facilitator. Her expertise lie in all areas of people development – human resources, training, learning and development, organisational psychology, facilitation and coaching.